Friction can drive faster, more robust learning to help workgroups come up with better approaches. In fact, creating productive disagreement—cultivating friction to elicit observations and inspire new ways of thinking—is the entire reason for forming a group and entrusting it with key organizational work. Friction can lead to better outcomes. The right type of friction can transform individual contributions into something far larger than the sum of the parts. Indeed, creating good friction is the entire reason for forming a workgroup and entrusting it with key organizational work. That power materializes, however, only when the potential for friction is realized and the workgroup draws relevant, actionable learning from it. And cultivating friction is increasingly important. In this rapidly changing environment, workgroups aiming to accelerate performance will need to learn faster how to make an impact on the performance that matters to the outcome. Issues will likely only become more complex and unexpected, requiring a range of approaches to address them. The right approaches might not exist yet. The type of learning that’s perhaps most important to accelerating performance improvement, then, is that which creates new knowledge about how to approach unanticipated problems or situations. It isn’t about training in new skills or accessing existing knowledge. It is group learning embodied in action. A group of people with conflicting perspectives has the power to envision a set of possibilities differently, and more broadly, than any of the individuals alone, potentially leading to emergent behaviors and creation of new knowledge that could not have arisen elsewhere.1 Creating that new knowledge requires workgroup members to make full use of the group’s diversity and the external resources to which it is connected across the range of the group’s activities. The ways people diverge in how they think about a problem and differ around approaches, assumptions, and actions can reveal potentially powerful insights. Of course, timing matters. Some workgroups need to operate like a well-oiled machine in the moment, whether that moment is going into a burning building or interacting with a customer. The key for improving that in-the-moment performance, though, is cultivating the friction between moments, to elicit observations and new options for approaching the next moment differently. Focusing on seamless execution (the goal of many high-performing teams) and failing to cultivate friction can result in a flat trajectory, even if the starting point is high. Cultivating productive friction is about benefiting from the potential for learning that comes from diversity—all kinds of diversity. In a diverse workgroup, members are influenced by a range of past experiences, apply different implicit rules, and notice different pieces of information.4 Cognitive diversity can create tensions within a workgroup, and those tensions can have unexpected and positive results.5 Yet our desire for harmony can be so strong—to some extent, we are biologically wired to mirror the behavior of those around us6—and often is so ingrained in organizations that productive friction simply will not happen without taking deliberate action to stoke it. Friction must be cultivated first within the workgroup, day-to-day, but also outside the workgroup, between the workgroup and others who might have relevant insight, knowledge, or resources. Practically, this means that members are open to being tested and questioned by others and willing and able to see how one idea fits with or builds on another. It also means that the group itself is open to challenges from the outside. The workgroup essentially invites others to “question us” and to introduce diverse external resources. Energy over harmony. Workgroups that go along to get along won’t get far in an environment that demands new approaches and rapid learning. The right type of friction can be exhilarating. Challenge and discussion over approval. In fact, if the workgroup’s output is similar to one of the inputs, there may be too little friction. Transparent thinking. Sketching a potential solution or a framework for approaching a problem or even a list of assumptions on a whiteboard can be an invitation for challenges from within the group. Up the ante by putting the board in a public place and inviting outsiders to the conversation. Thinking made tangible. Just writing something on a board can reveal assumptions and relationships that aren’t apparent in a discussion. As an idea becomes progressively more tangible—for example, moving from spoken idea to written description to drawn pictures to models and prototypes—fresh aspects of the problem and potential solutions can be exposed, stirring up additional friction. Brainstorming. Too often groups use brainstorming to get “more” ideas on the table, and the means of doing this is to remove friction. Participants may be told to silence their skepticism and treat all ideas as equally valid and plausible, and at the end, everyone feels good about the number of ideas generated. But stifling any arguments carries a cost, as the potential learning from exploring the trade-offs and unstated assumptions behind the ideas is lost. Lost, too, is the opportunity to candidly interrogate the ideas, to find weaknesses or to see the power to be found in combining two ideas that didn’t capture anyone’s imagination initially. Workgroups looking to accelerate performance should focus on better ideas, not more. Playing devil’s advocate (or other roles). If everyone knows that someone is playing a role for the sake of creating some friction, they will likely treat it as a game. The quality of the friction generated would be low, because the challenge wouldn’t be grounded in a real perspective or deeply held belief; there would be little to unpack and few insights to discover. The goal should be to stir up and direct the real disagreements and divergence that exist, not to manufacture arguments. Workgroups often need friction across the board, in all of the workgroup’s activities, to sharpen the thinking and push the group to be better. Frame a powerful question. The right question should create tension that provokes friction. Commit to a shared outcome. The group periodically challenges itself to ensure that it is still pursuing the highest-value outcome. The commitment to a meaningful outcome can help workgroups tolerate the discomfort of friction. Maximize the potential for friction. The productive friction a group cultivates can become more potent when it comes from a diverse and passionate membership. Members who are passionate about the outcome will likely challenge each other and themselves to learn how to have more of an impact, faster. Seek new contexts. Immersion in a new context can take members out of their comfort zone, challenging their assumptions and mental models in an immediate and tangible way. Changing context and experiencing a new and very different context can also help create awareness of orthodoxies and assumptions, and through exposure to others’ contexts, group members can cultivate a willingness to continuously reexamine, test, and update their own. Eliminate unproductive friction. When the group proves itself capable of managing friction productively, members will be more confident and willing to engage with different perspectives or challenge and explore as a group. It can create a virtuous cycle, wherein they see that friction is beneficial and more confidently bring forth their diversity in future interactions. Reflect more to learn faster. Challenging each other’s observations and interpretations of what happened in-action, and what the results of the action were, is an important element of effective reflection that draws out learning. Bias toward action. To act with the most impact, workgroups need friction not just in coming up with ideas but in planning action, taking action, and making sense of action. Prioritize performance trajectory. The metrics that matter to the outcome may provide a focal point for discussion and can ground disagreements in data. Just setting up the conditions for friction is a start, but the type of productive friction that can help a workgroup learn faster isn’t likely to occur on its own, even with a diverse and passionate group. Being open to friction and maintaining a high level of friction generally takes a deliberate and conscious effort, at both the individual and workgroup levels. How can you stir up the right type of friction and sustain it over the group’s time together? Workgroups may need to get comfortable with being uncomfortable. It begins with embracing complexity when our instinct is to simplify. Leaning into complexity, with all of its messiness and unpredictability, can help highlight a problem’s nuances and the contrasts and contradictions within the workgroup. But it doesn’t end with recognizing that a problem has many facets and group members have different ideas. Having shined a light on complexity, seek out challenges and draw out the group’s areas of disagreement and divergence. Performance improvement isn’t straightforward, in part because we don’t always even know how to assess performance. Proxies such as focus, speed, and efficiency—driving out waste and costs—tend to favor stripping out complexity. But in a world of interconnected systems, the inputs, outputs, and conditions of each are constantly changing. A single approach or toolset won’t generally suffice across the range of conditions; mastering a single process or tool can’t be the goal. In a complex world, it isn’t about how fast you get from break to shore but about how well you ride the wave. This is second-order performance: how well you adjust and drop what isn’t working and pick up new things, how well you stoke curiosity, sample from the edges, and develop new skills and tools. Workgroups can create tension when they resist the urge to immediately simplify. The perspective you hold, as an individual or a group, is never the only perspective. Keep an open mind to consider other angles and explore the nuances of a particular situation. There’s usually more to the story: What else don’t we know? Take time to consider, for example, that a refrigerator isn’t going into just a “house” but into a kitchen within a duplex in a shrinking Midwestern city. Does that change any assumptions? Abstracting a problem until it looks like something with which we are more familiar can seem like an efficient way to handle complexity; do it too early, however, and you risk losing the richness of the problem, which is where the opportunities are likely to be. In the case of the Joint Special Operations Command7 in Iraq, when intelligence analysts were teamed with the forces, some important nuances came to life: Although most raids shared some similarities in the abstract, being on the ground in a raid made clear to the analysts that the specific context, the ways in which that raid did not resemble others, often mattered more. Being deliberate about interrupting the tendency to jump straight to tasks, to be as efficient as possible, can make space for members to diverge, explore, and start to build on the possibilities without feeling as though each divergent thought is a tangent that is preventing the group from getting on with the “real” work. Celebrate diversity by being explicit that cognitive diversity is not just a nice-to-have but exactly what the workgroup needs. Be open about the fact that group members have different backgrounds and skills; this may open the door for members to reveal more of their differences. When workgroups rush to smooth over differences, they can miss the opportunity to sample ideas and techniques and pick up new tools and approaches. Set the tone by provoking members to speak to their belief systems, their reasons for participating, and why the outcome matters to them—even if, or especially if, these reasons differ. Resist the urge to resolve contradictions or emphasize commonality. Establishing a tolerance for unresolved tension can ease individuals’ fears that disagreement will damage the team dynamic. The goal should be to create disequilibrium in the group and evolve the options on the table, keeping the intensity high enough to motivate the group toward a creative next step, but not so high that it becomes unproductive. One way to do this is by playing with possibilities to slow down a pell-mell rush to execution. A playful discussion of what-ifs can test the boundaries and conditions rather than treating them as realities. As communicator Nancy Duarte points out, the arc from what could be to what is creates useful tension.8 It doesn’t have to be just a mental exercise—tinkering is a way to look for where there is play in physical systems and routines as well. Royal Caribbean Cruise’s Newbuilding & Innovation group, for example, uses a variety of design tools and graphical simulations to explore the ideas and possibilities brought forward by domain specialists from aircraft design, fashion, entertainment, and shipbuilding that stretch the group’s collective thinking. Ultimately, it may be as simple as being willing to be curious. A workgroup aiming to improve has an obligation to be curious. Ask the question when you don’t understand, and adopt a beginner’s mind-set. Reach beyond your experience, and listen for what an idea could be rather than what it is. It’s one thing to get options on the table, another to transform them into solutions. The goal of cultivating friction is the latter, getting to better and better solutions by learning as a group and embodying it in action. An alchemy of interactions makes a workgroup more than the sum of its parts (or its ideas). Individual ideas bump up against each other and against diverse perspectives, get tested in real conditions, and become different and better as a result. This happens not once but repeatedly, as the context changes along with the group’s understanding. To create this alchemy, it isn’t enough for members to tolerate challenges9—they should insist on challenges. Sometimes, particularly when a group seems to gel quickly and develop instant camaraderie, the idea of doing anything to upset the balance can seem completely counterproductive. But a norm of not rocking the boat can solidify over time, making it seem harder and less likely that a group member will risk a rift. Challenging early on, when the stakes might be lower, can help a group understand and adjust how it responds and reacts to uncomfortable situations. Community—and bonds of trust—can come from crises, even small ones. Challenge yourself and others to break through any ego and hubris that can prevent individuals from engaging with each other around what is most important, from unwillingness either to show vulnerability by asking questions or to be open to being questioned. Misunderstandings and disagreements can be fertile ground for learning and creating something new. Individuals should strive to repress the desire to display authority or expertise—and shouldn’t let other members go unchallenged by virtue of their expertise. A workgroup, collectively, can help by not accepting serial monologues or presentations and by questioning and exploring assumptions as a matter of habit. Try to bring more of the invisible and unstated—beliefs, experiences, expectations, and theories—into the open by asking others to state their core assumptions when they offer a perspective. Take the group into a new context temporarily, or bring outsiders in, to help heighten awareness of our own orthodoxies—a key first step to reexamining and updating them. For example, as the Red Cross has begun using more people from local communities in responses, a side benefit has been to expose the organization’s professionals to more perspectives that challenge what they “know” about the work. Prompt members who are likely to hold opposing perspectives and explore the disagreement. Rather than minimize the differences, try to explicate the “ladder of inference,”10 working backward from the expressed perspective to the beliefs, experiences, and assumptions that led there. Instead of, “How can you think that?”, ask, “I wonder what information you have that I don’t?” or, “How might you see the world such that this makes sense?”11 Even better than asking: Try to experience what the other person does. Going deeper into disagreement may get to a more nuanced understanding of the root problem. Call out the elephant in the room or question the organization’s long-established conventional wisdom and principles. Setting an expectation that the unspeakable may well be spoken is another way to break through complacency and elicit challenges. For agency sparks & honey, success depends in part upon cultivating friction in a daily culture briefing.13 The briefing leaders prompt specific individuals on certain subjects and consciously distribute the conversation. Rather than try to resolve opposing or even unrelated perspectives, they use the common language of the agency’s cultural intelligence system and framework to focus on looking for the new insights and connections that such divergence might reveal. Over time, many of the briefing participants have also tacitly picked up skills for eliciting diverse perspectives and managing the resulting friction—an ever-growing community of practitioners developed through tacit learning. Beyond a practice of challenging each other in discussion, another approach is to impose constraints as a means of forcing creativity and divergent views by placing an entire workgroup into a stress position. Imposing constraints on the tools and conditions of a solution is one way to do this. Constraining the budget, expertise, or (especially) timing can spark creativity and produce a sense of urgency. Don’t stir things up—just smile and nod so we can be done. There’s no such thing as a bad idea and all ideas are equal—let’s not judge. We’re all in agreement and know how this works—let’s just get on with it; we’ve got the A-team on this. Finally, try to create space so that friction can develop from a variety of sources. Silence can be an important tool and is a discipline that supports the need to avoid rushing to answer, resolve, or simplify. Silence itself can provoke tension for some while allowing space for other voices to clarify and emerge. Mediate the conversation to keep multiple interpretations alive so that additional important insights and slow-building approaches can have a chance to materialize. Although action-oriented group members may become impatient or frustrated when passionate views collide and generate multiple interpretations of a challenge, these collisions and interactions could be necessary to continue to reach new levels of performance. It takes practice, for both individuals and groups, to balance the need to diverge and generate heat with the directive to draw actionable insights that can be used to make progress toward an outcome. As a group’s members increasingly employ tensions and disagreements to reach better solutions, they can help create a virtuous cycle of more honest and forthcoming challenges. Are we turning up the heat enough, or do we all too often avoid conflict entirely? Are the unique voices and perspectives in our workgroup being surfaced and heard? How can we do a better job of drawing out the diversity that we have? What if friction wasn’t just allowable but demanded? What if we went beyond accepting different points of view and insisted that they be surfaced? To what extent are workgroup members encouraged to speak beyond their expertise? 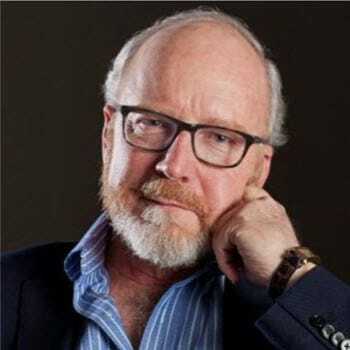 John Hagel is co-chairman of Deloitte LLP’s Center for the Edge and is based in San Francisco. 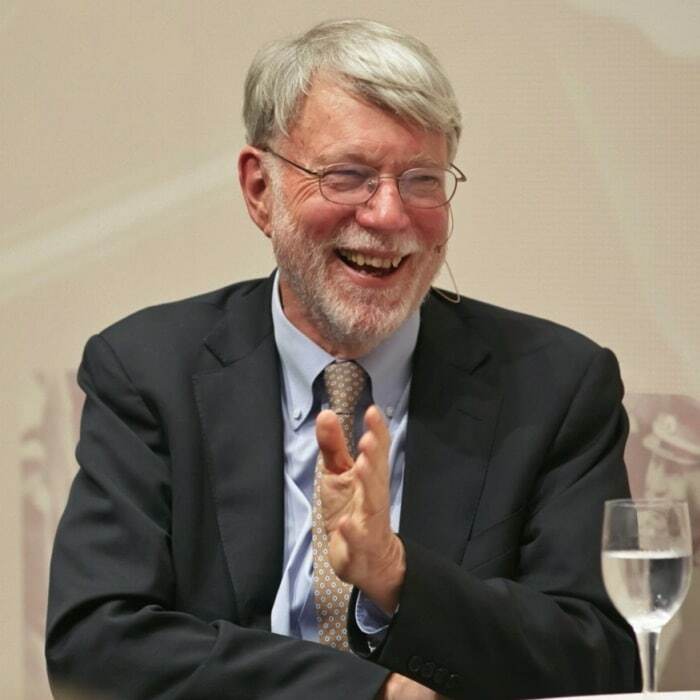 John Seely Brown is independent co-chairman for the Center for the Edge and is a visiting scholar and adviser to the provost at the University of Southern California. 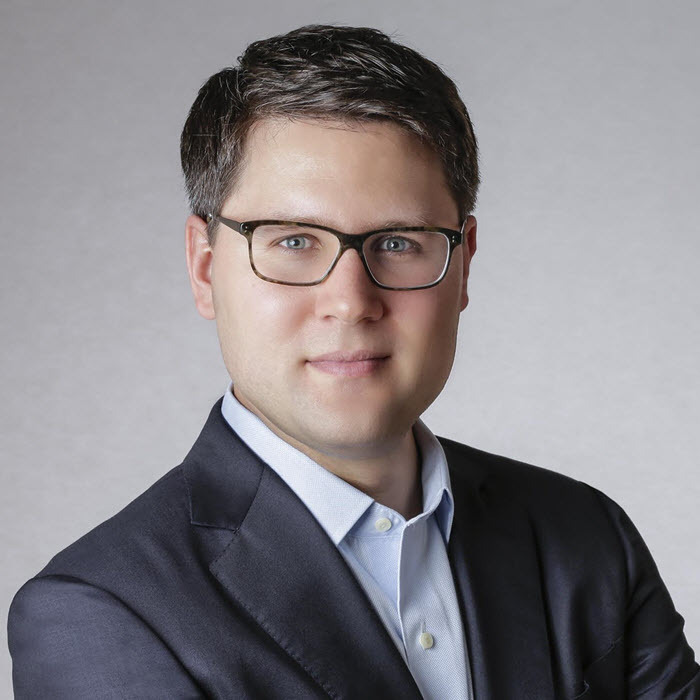 Andrew de Maar is head of research at the Center for the Edge and is based in San Francisco. Maggie Wooll is content and engagement lead at the Center for the Edge and is based in San Francisco. Cultivate friction has been added to your bookmarks. Cultivate friction has been removed from your bookmarks.